Welcome to Butternut, your northern Wisconsin getaway destination. You will find small town charm surrounded by the great outdoors, just waiting for you to enjoy. 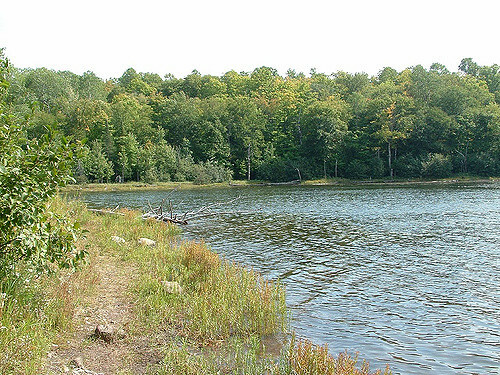 Easy access to Butternut Lake, the North Fork of the Flambeau River, and the Turtle Flambeau Flowage, along with several other lakes and streams, provide anglers and boaters with an excellent array of fishing and scenic nature. From the great musky and walleye fishing to the whitewater rapids, we have it all right here. With miles of ATV, snowmobile, and hiking trails, Butternut is a paradise for all outdoor enthusiasts. While here, take advantage of all our community has to offer, with expert local guide services, resort accommodations, merchant services, excellent dining, beautiful parks, and even good old fashioned Wisconsin cheese. All this, along with an award winning school and a strong sense of community pride, makes Butternut a great place to visit and an even better place to live. The Flambeau River provides excellent canoeing from Robinson Landing to Agenda Landing. About twenty miles long and eighteen rapids ranging from class 1 to class 3.